On 26.01.2012, winger Emem Eduok scored two goals when his Dolphins FC won 3-0 against Kaduna United FC. In this article I will profile Eduok, one of the most exciting prospects in the Nigeria Premier League. My first record of Eduok is from 2009-2010, when he was starring for Akwa United FC in the Nigeria National League, the second level of Nigerian football. Eduok joined top level side Dolphins FC before the start of the Nigeria Premier League 2010-2011, making his debut during November 2010. Eduok made some impressive substitute apparences and eventually forced his way into the starting eleven of the team that was crowned as champions towards the end of the season. Eduok scored one league goal during the season, on 09.11.2011 against Zamfara United FC. In May 2011, at a time when Eduok had yet to reach 20 matches in the Nigeria Premier League, he was named in the squad of the Nigeria U-23 national football team. Eduok continued to train with Nigeria U-23 during the season. Eduok is primarily a winger, most comfortable on the right. He can also play as an attacking midfielder, stationed in a wide position near the touchlines, or operate behind a lone striker. He is known for his skillfull crosses towards the centre forwards, such as the lanky Victor Michael. Eduok is often seen terrorizing the opposing full-back with skill or with speed. He also has a good off-the-ball ability, wandering a lot and causing confusion with his liveliness and hard running. 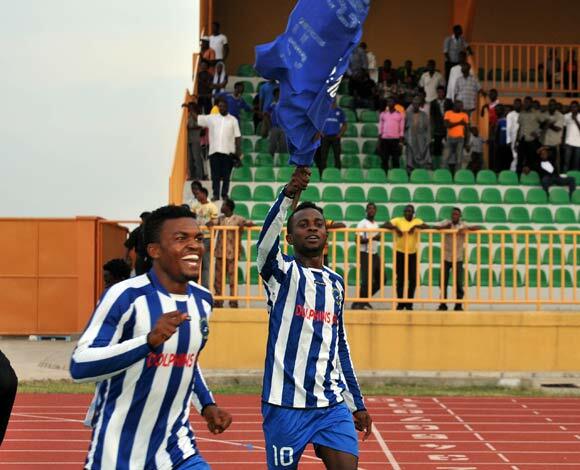 Eduok has made a brilliant start to the Nigeria Premier League 2012, already having two goals and at least one assist to his name after three rounds of football. According to 2muchsports and MTN Football, Eduok is born 31.08.1991, making him 20 years old at the time of writing, which seems probable. Eduok was described as a “youngster” by SuperSport in November 2011. The full name of Eduok is “Samuel Emem Eduok”. The picture, taking from MTN Football, is of Eduok (left) and Chidi Osuchukwu (right) celebrating the league trophy.